TMS CAD Autodesk BIM in Scotland: BIM in Disneyland! Yes, you read that correctly. Walt Disney Imagineering are using BIM workflows and Autodesk software to design and construct the new Disney Shanghai Resort. Using Revit & AutoCAD for the majority of the Design, along with Autodesk Buzzsaw, allowed the design teams to collaborate extremely efficiently across two continents. The Enchanted Storybook Castle, designed as a companion to Walt Disney's iconic Cinderella castle, but with a highly decorative exterior & a much more modern and complex interior, which includes a double helical staircase, restaurants, fountain pumps, a boat ride system & its maintenance facility, children's salon and much more, was all designed entirely in 3D. 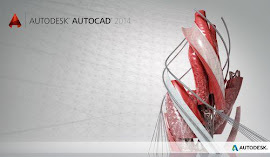 Read more about the "Castle in the Cloud" project on Autodesk's blog page "Line/Shape/Space"